Asaki World Time Calculator. New never used includes battery, not sure if battery works. £ 4.95/ free p p.
Simple to use slide rule. Outer sleeve manufactured from high impact plastic. Electronics, Sound & Vision. Digital Weighing Scales. Watch face size : 4cm x 3cm (surprisingly small face perfect for kids). Brilliant watch for both children and adults alike. Watch strap size: 22.5cm x 1.8cm. 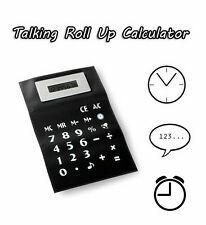 Have fun with this roll-up flexible talking calculator. There is also a handy magnetic strip on the back which allows you to stick it to your fridge or other such surfaces. Flexible Talking Calculator. Watch face size : 4cm x 3cm (surprisingly small face perfect for kids). Brilliant watch for both children and adults alike. WHEN YOU PRESS THE BUTTON IT SLOWLY OPENS. UN WANTED GIFT HAS BEAN IN ITS BOX FOR A FEW YEARS. OR COLLECT FROM GREENWICH, LONDON, SE18. 2-SHINE BRIGHT - You're anything but ordinary, so why should your workspace be any different?. With each piece covered in bright, eye-catching crystals, your desk will be just as unique as you are! Size: 11 x 19 x 4cm. Natural agate colored. 2-SHINE BRIGHT - You're anything but ordinary, so why should your workspace be any different?. With each piece covered in bright, eye-catching crystals, your desk will be just as unique as you are! Have Calculator function in it. Blingustyle Crystal Diamante 12 Digits super Calculator. sale price, was £22. Size : 11 x 19.5 x 3.5cm. By Hand Using High Quality Crystal Acrylic Rhinestones. this item is made by our fashion accessory designer, 100% handmade . 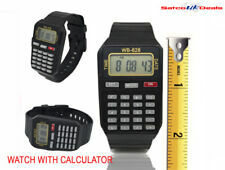 ::::we have more design diamante calculators ::: Size : 11 x 19.5 x 3.5cm. By Hand Using High Quality Crystal Acrylic Rhinestones. this item is made by our fashion accessory designer, 100% handmade . 2-SHINE BRIGHT - You're anything but ordinary, so why should your workspace be any different?.